Many companies have employees who get together to present supervisors and managers with gifts throughout the year. Whether for birthdays, holidays or during special award ceremonies, it gives employees time to celebrate their boss. Unfortunately, many companies fail to recognize the perfect time to reciprocate. Employee Appreciation Day, which is celebrated on the first Friday in March, is rapidly approaching for 2019, with Friday, March 1st right around the corner. Get ready to kick off your month by recognizing the hard work employees have done throughout the year. For some organizations, now is the perfect time to begin developing creative and unique ways to celebrate employees, and there is no better show of appreciation than working with Lane Award to assist in this all-important endeavor. Lane Award understands that excellence deserves recognition, and our reputation for creating beautifully unique, personalized gifts and handcrafted awards is unmatched. From employee recognition awards to championship trophies, promotional items and world-class plaques, employees will rejoice in the special ways you’ve chosen to honor them and their contributions. Lane Award will assist you in selecting and personalizing awards, promotional items or gifts that specifically fit your needs. Whatever recognition challenges your company may face, Lane Award has the solution and would love to partner with you in your efforts to improve employee performance and help you build your business. Our endless array of services and gifts unlocks the door to countless possibilities of unique, personalized expression. 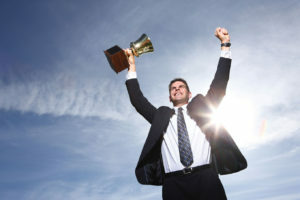 When it comes to employee recognition, choose the company that has the best reputation for showcasing what you’d like to convey. Whether you’re looking to launch a custom program that lasts through the years, or you are looking to discover unique items that are a special way to say ‘thanks,’ Lane Award is your premier partner in recognition!